Just because you live in the city, it doesn't mean you can't have a touch of the farm life. Urban Farm Magazine is a guide for those in cities or suburbs looking to become more self-sufficient by growing some of their own food and treading lightly on the environment in the space they have. Articles include DIY projects, gardening basics, composting, beekeeping, roof-top gardening, preserving and freezing, and time and money-saving ideas. 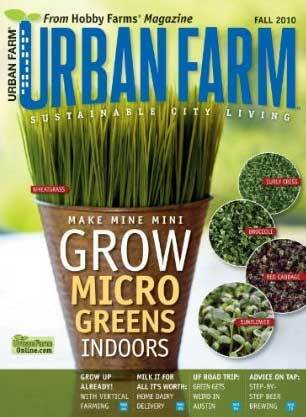 Today only, subscribe to Urban Farm Magazine for only $4.50 per year (70% off)! You can order up to 1 years at this price! Just enter coupon code JINXY at checkout. This offer expires at Thursday 08/09/12 11:59 PM EST.